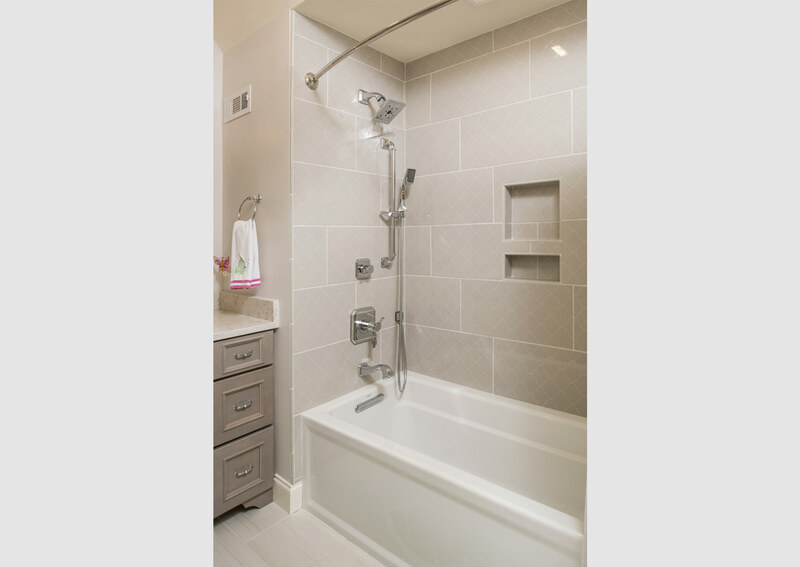 This bath renovation used the same footprint as the existing layout with the main change to the shower. 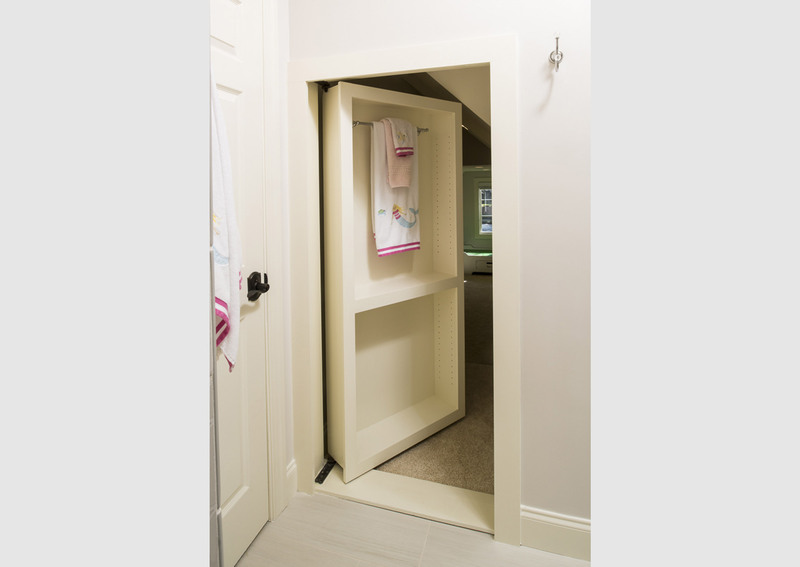 The previous shower was like a tiled tomb with only the shower door opening that would swing toward one of the vanities. 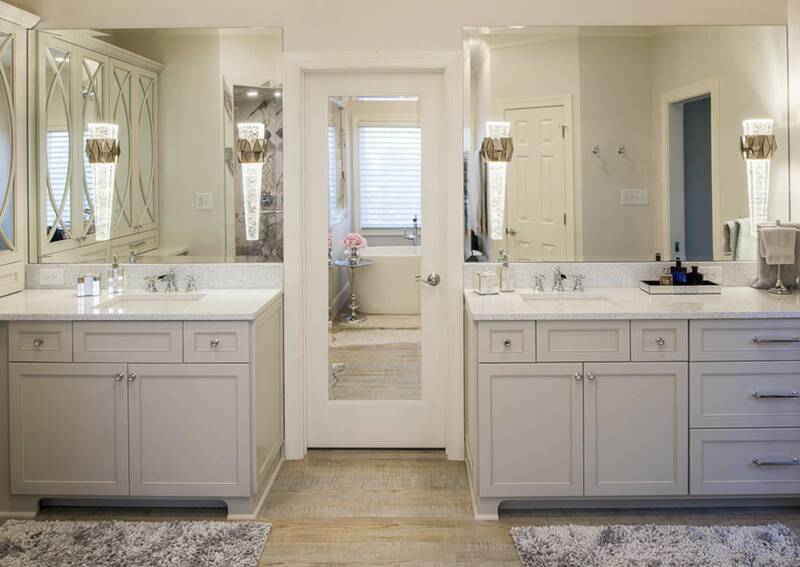 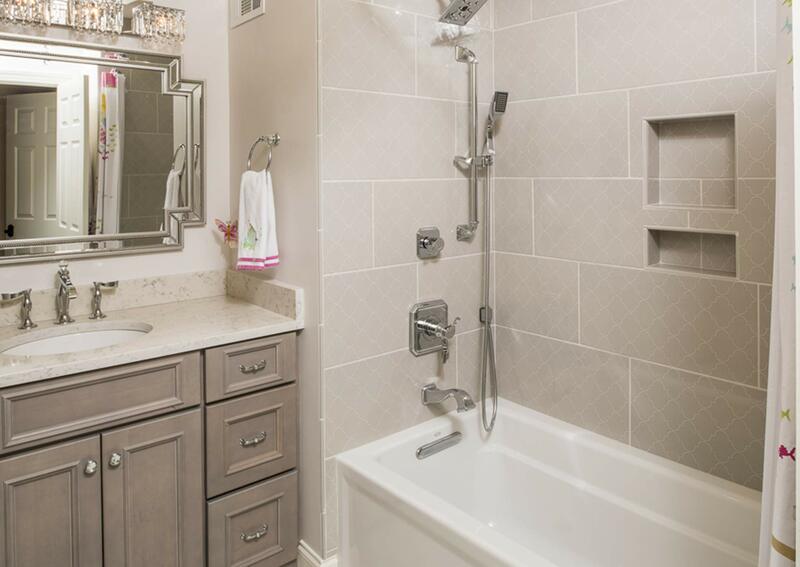 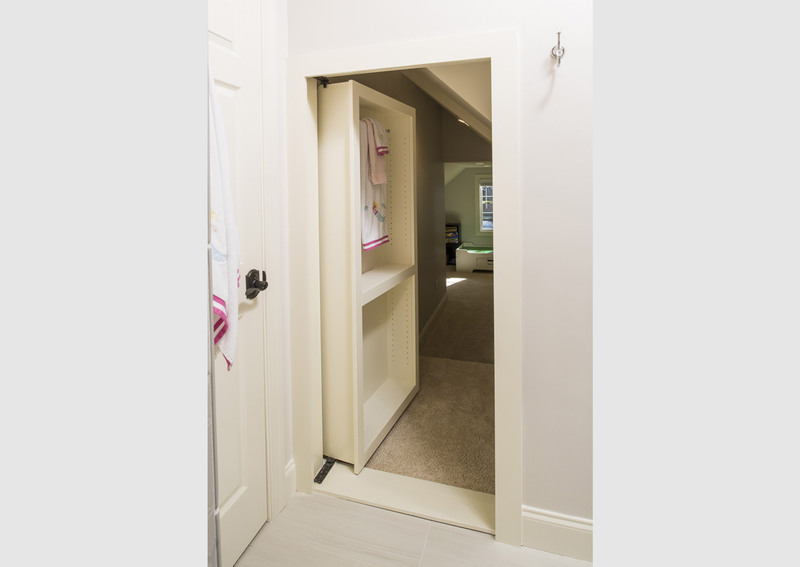 By changing the shower wall to have an angle similar to the existing toilet room angled wall it gave symmetry to the space and removed the door swing interference at the wife’s vanity. 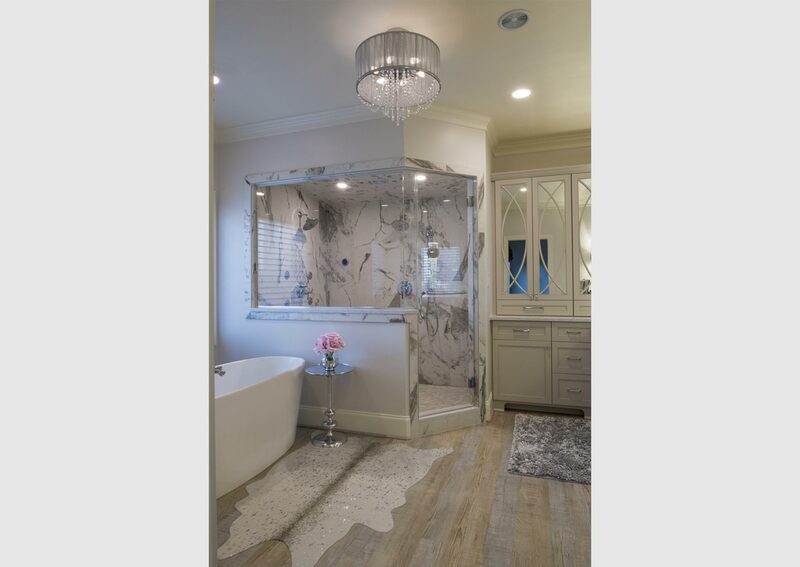 A half wall with glass panel to the underside of the soffit provides natural light and is sealed for a steam shower. 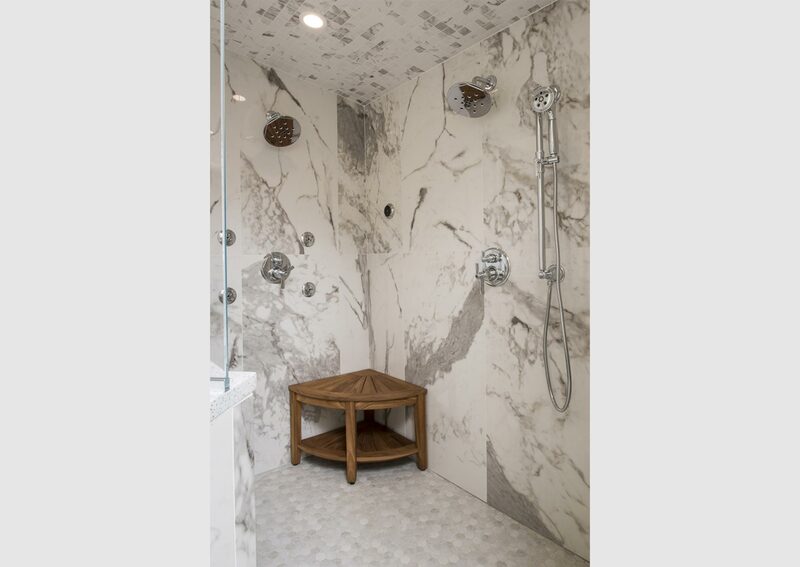 Large format tile with the appearance of marble and two separate areas within the shower plumbed with different shower heads & body jets give the homeowners a true spa-like experience. 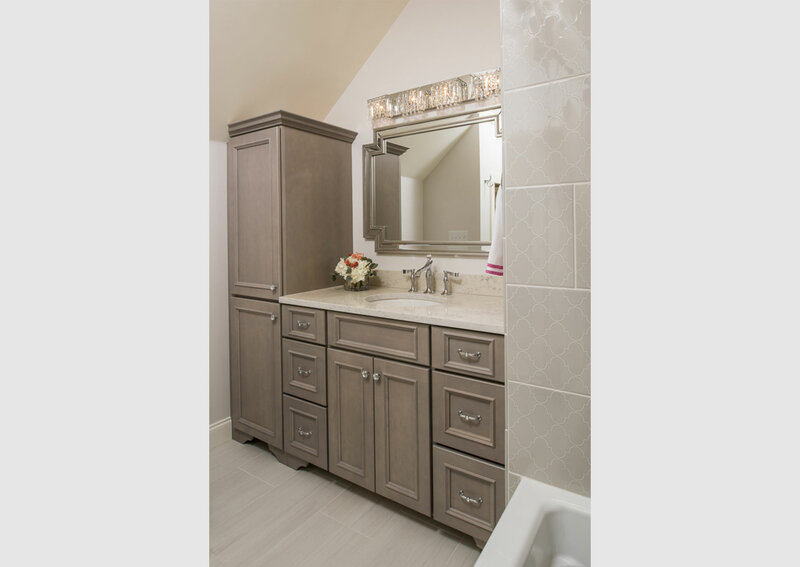 The vanities remained in the original locations but were redesigned to incorporate more efficient storage. 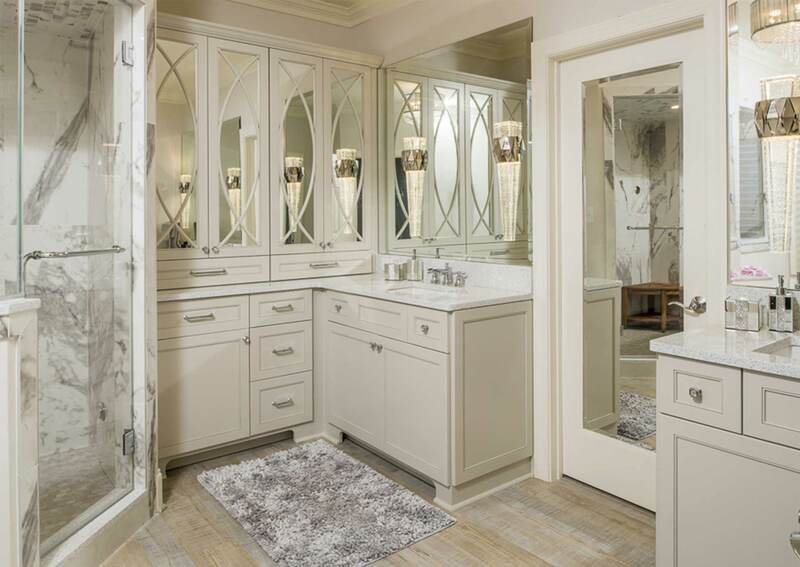 Tall wall cabinets with beautifully curved mullions provided storage for towels, personal care items & makeup. 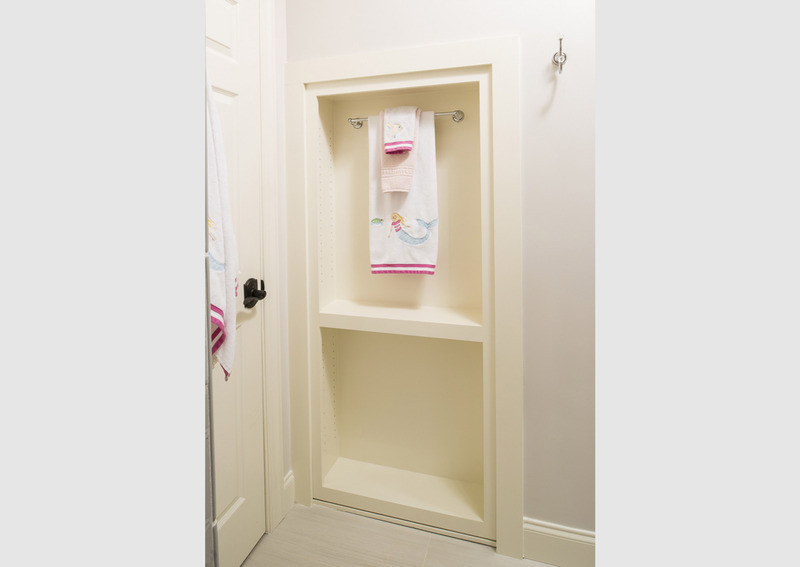 A pullout organizer below the vanity sink, equipped with an outlet, houses hair care appliances. 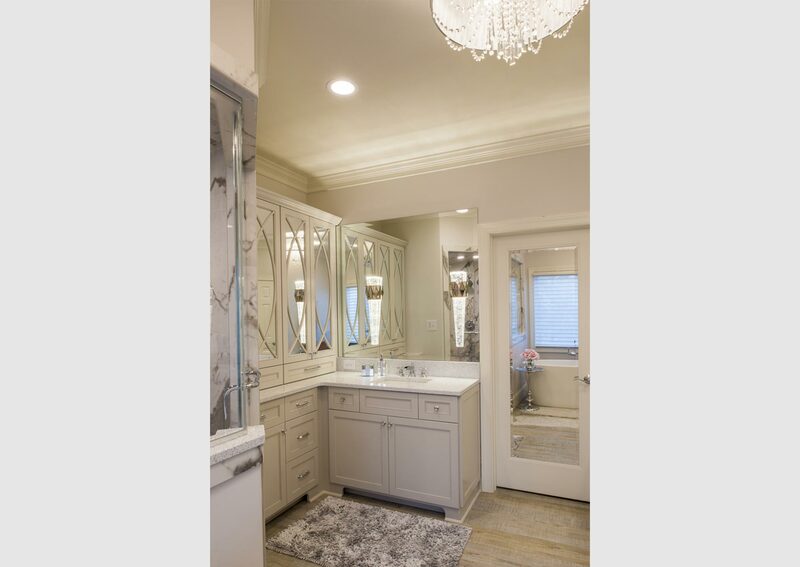 A beautiful chandelier centered in the room, chrome & glass pendants at the vanities and luxury vinyl flooring add to the upscale décor.